Happy Holidays! 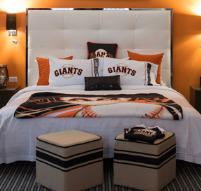 We're so excited to share our 2013 holiday package with you! Every year we put together something special for our guests visiting during the holiday season and this one might be our favorite one yet! In honor of the lucky year 2013, our exclusive EAT+DRINK+SHOP package includes 13 different perks at various shops, restaurants, and bars redeemable in festive Union Square. 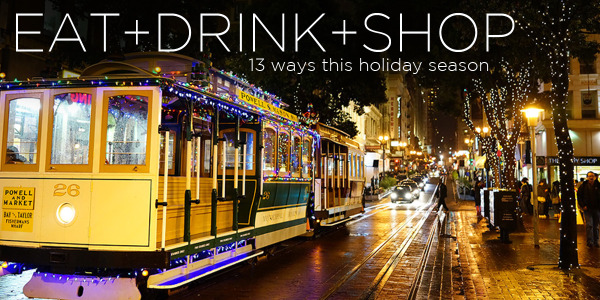 Stocking stuffed with great deals and exclusive discounts from bars, restaurants and retailers such as Tradition, Mikkeller, Farallon, Nespresso, Macy's, Ghirardelli and more! Available at Hotel Diva, Kensington Park and Hotel Union Square through January 31st, 2014. When we adopted Family House into our hearts, we never looked back. It was an obvious partnership for us. Like us, their goal is to provide a home away from home. 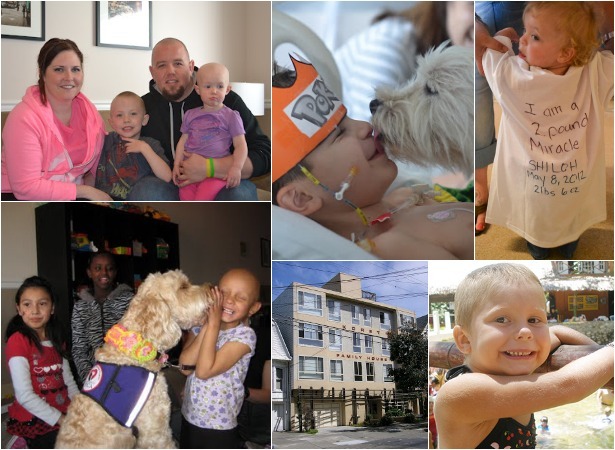 But unlike us, they provide this comfort to families of children with cancer and other life-threatening illnesses while being treated at the UCSF Benioff Children's Hospital. Falling in love with their mission and undeniable spirit was easy. And soon we found out that it was easy for a lot of people - like the rock band Train and Ghirardelli Chocolate Company. 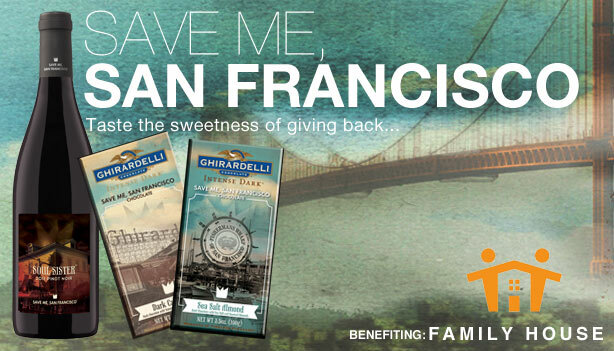 When we heard they were creating products specifically for the benefit of Family House, our newest package "Save Me, San Francisco" just fell into place. Chocolate and wine have never come together better. Satisfying in taste and fulfulling in heart, this package will have you savoring the fact that you're helping others who really need it. Obama just touched down in San Francisco! Did we mention that we have beer too, we thought you might be thirsty. Personality Hotels in San Francisco is serving up some tasty brew from our friends at Half Moon Bay Brewery. 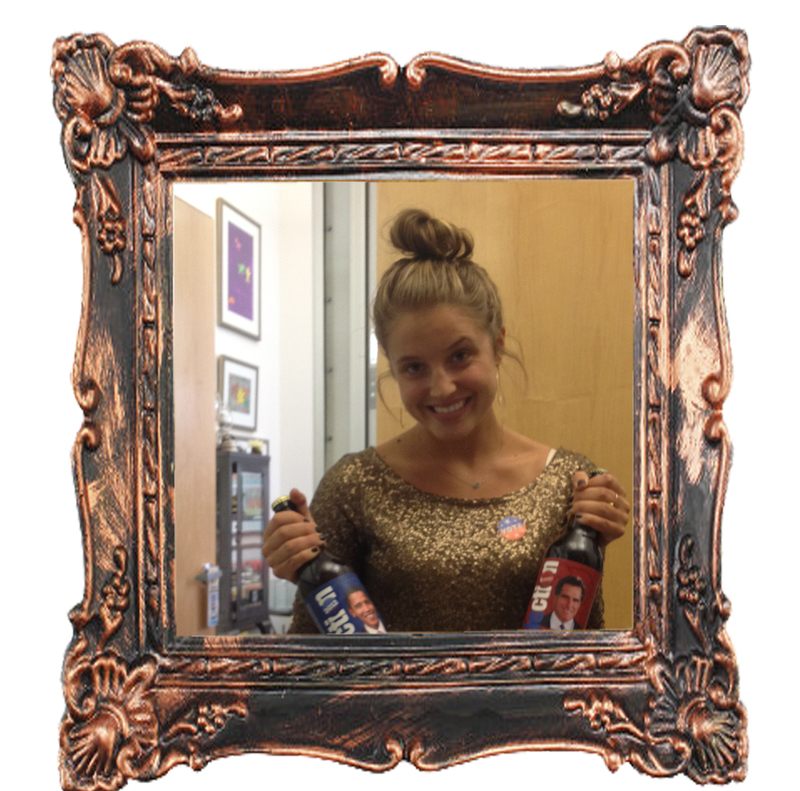 Take a peak at our Presidential Package for a fun way to cast your vote! Got a special “Christian” or “Anastasia” in your life? Pondering a sensuous getaway in your own private pleasure suite? We’ve got what it takes to fire up that passion! 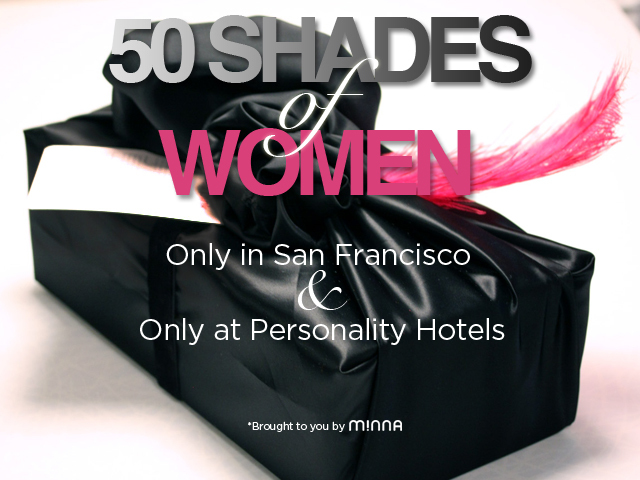 The “Fifty Shades of Women” experience includes deluxe accommodations in the heart of San Francisco’s Union Square, at a choice of Hotel Diva, Hotel Union Square, or Kensington Park Hotel. Lead your partner into the room, and you’ll find an exquisite intimacy kit custom-designed by Minna Life. Pull the pink feather, open the black satin wrapping, and the adventure begins. Sound intriguing? 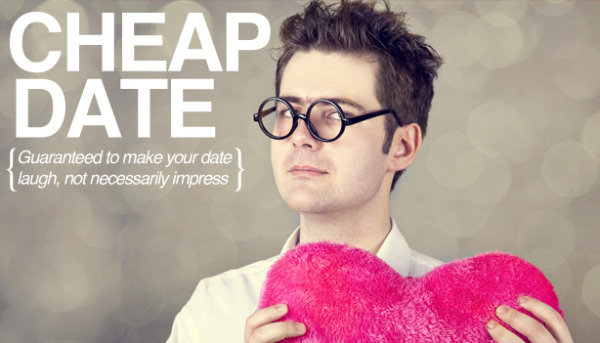 Get all the details by visiting Personality Hotels to find the perfect setting for your unique romantic escape. 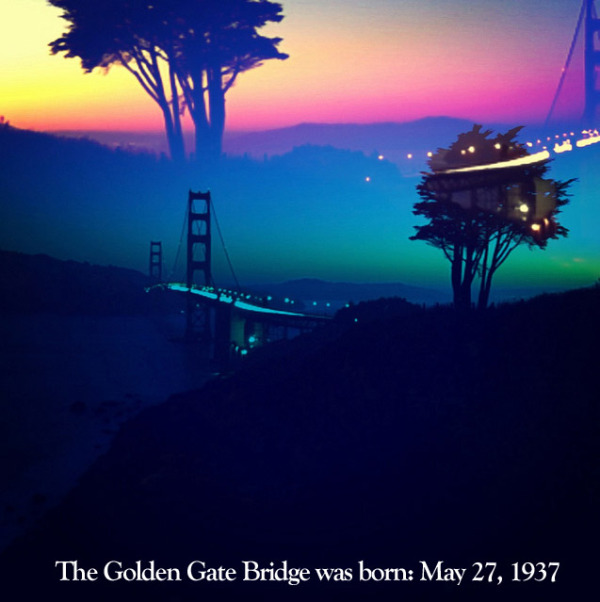 Not many people can say they were alive to see the birth of the San Francisco Golden Gate Bridge. But imagine, if you could interview someone that was there. A picture may be worth a 1000 words but a first hand interview is priceless. Personality Hotels interview with a San Francisco local, Mr. Personality. What was your favorite memory of the Golden Gate Bridge? On May 27th, 1937, I walked accross the Golden Gate Bridge wearing a Mexican sombrero. I was going north toward Marin County and walking back toward San Francisco. But, why the sombrero you may ask? Simply, because everyone was wearing different costumes and all I owned was a sombrero. I didn’t go out & buy a new outfit or costumes like everyone does now; I used what I had. A sombrero. What do you remember most during the time the bridge was built? 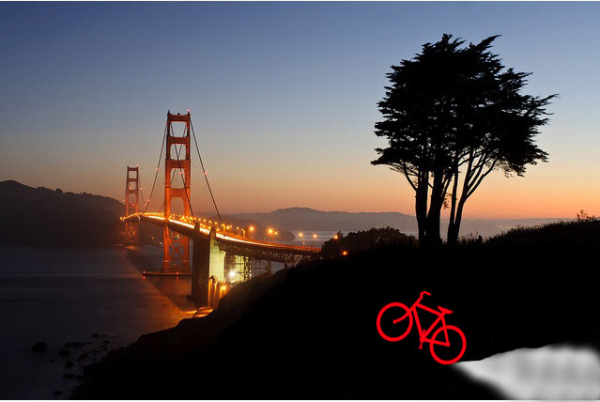 As the construction crews were close to the finishing the Golden Gate Bridge, I rode my bike to see the final stages. I knew, I was going to walk this unbelievable monument no matter what! Even, if I had to play hooky from work. I did end up calling in sick that day. Best day I spend sick I ever had! What was it like to be part of such a historical structure being built in your community? It was unbelievable, I asked myself how could they construct this to fit within a single span? Did you go to the "grand opening" of the bridge? Yes & I walked it alone. I was 19 year old. My family did not want to go, so I went by myself. I remember that it was a beautiful day with lots of people. They were just walking back & forth across the Golden Gate Bridge. There were no vendors. It felt like it was just me and the Golden Gate Bridge enjoying each others company. If you want to make your own memories with the Golden Gate Bridge, now is the time. 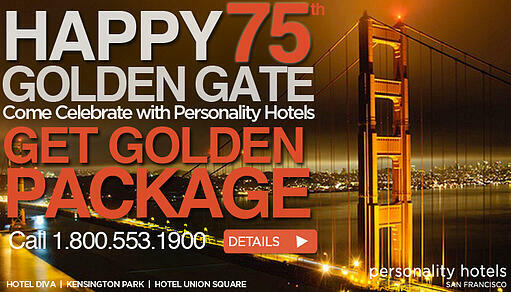 On Saturday, May 27th the Golden Gate Bridge celebrates its 75th birthday. Don't miss the birthday party. 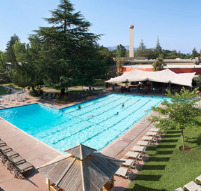 Instead, plan on getting golden with Personality Hotels this weekend!